Lisa Monica Moreno Cukjati went peacefully to be with the Lord on Tuesday, March 19, 2019. 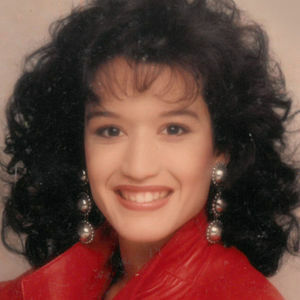 Lisa was born on October 26, 1972 in McAllen, TX to her loving and devoted parents, Enrique Moreno and Martha Mary Morales. Lisa was the fifth of five children, and the only girl. Lisa was raised in San Antonio and was valedictorian of her high school senior class. She graduated from the University of Texas-SA with a Bachelor degree and a Master (non-thesis) in social work and was a member of MENSA. Lisa was a stunningly beautiful person, both inside and throughout, who fiercely, unconditionally, and passionately loved her family and friends. She and Curtis, her devoted husband of 23 years, raised their three incredible children who are all thriving ~ Jacob (26), Isabella (21) and Rachel (20). Lisa made Curt, their children and her mother, the focus of her life, and they will continue to live their lives for her. She is preceded in death by her beloved father, Enrique Moreno and brother, Little Ray. Lisa is survived by her mother, Martha M. Gonzales; step-father, Moises Gonzales; mother-in-law, Charlene Cukjati; her beloved husband of 23 years, Curtis Cukjati; step-son, Jacob Cukjati, daughter, Isabella Cukjati, daughter, Rachel Cukjati, her brothers: Mike Moreno, Rick Moreno and Javier Moreno along with countless nieces, nephews, brothers and sisters-in-law and many wonderful friends. Visitation will be held on Friday, March 22nd from 6:00 PM to 8:00 PM in the chapel at Porter Loring on McCullough. "And be kind and compassionate to one another, forgiving one other, just as God also forgave you in Christ." Add your thoughts, prayers or a condolence to Lisa's guestbook.